Dr Shashini Gamage is using her media, communication and research skills to shine a light on women’s issues in Sri Lanka. Dr Shashini Gamage had never intended to follow the academic path. As a journalist and television producer in Sri Lanka, she focused on producing video documentaries on war-affected marginalised communities during the height of the civil conflict. Her stories covered a range of topics regarding gender, reconciliation, peace and conflict, and cultural expression. But after completing a master’s degree in global communication at La Trobe University in Melbourne, where she was exposed to a range of research methodologies and literature, she was inspired to apply for an Australia Awards Scholarship to continue her studies at a PhD level. Now, having been transformed from a media practitioner into an academic and researcher with the support of an Australia Awards Scholarship, she is integrating her different expertise into a unique career that is bringing Sri Lankan women’s voices into the spotlight. As the recipient of a small competitive grant under the 2017 Australia Awards Alumni Innovation Challenge, Dr Gamage set up an alternative online media space called Women Talk. In Sri Lanka, there is an under-representation and misrepresentation of women’s narratives in mainstream media. But on Women Talk, women are able to network, talk openly about gender and women’s positions, and profile their work. “To be able to put women’s voices in the spotlight through Women Talk is a step towards voicing opinions and disseminating knowledge about how policies and laws should be influenced in ways that favour women’s rights,” she says. Dr Gamage’s PhD thesis used anthropological methods to study women’s media consumption practices, with a focus on Sri Lankan migrant women’s soap opera clubs. Over the course of a year, she gathered data by visiting the clubs set up by Sri Lankan women in diasporic cultural associations in Melbourne. She conducted interviews, made observations, and photographed the media practice which revealed insights into the migration, identity, and culture of this segment of South Asian migrants in Australia. During her time in Australia, she also taught journalism as a sessional tutor to first-year undergraduate students at La Trobe University. This gave her the opportunity to share with students her own experiences of working as a television journalist in Sri Lanka during the turbulent time of the civil conflict. As a result of her doctoral studies, she has had articles published in international journals, including the acclaimed academic journal Feminist Media Studies. She has also contributed a chapter for a Wiley-Blackwell and International Association of Media and Communication Research volume called The Handbook of Diasporas, Media and Culture. Dr Gamage has fond memories of her time in Australia. It was not all work – she and a fellow Australia Awards alumna, Harshini Ranasinghe of Monash University, completed a two-week, 1000-kilometre road trip from Brisbane to Airlie Beach on a hop-on-hop-off bus, backpacking and staying at student hostels. They visited Fraser Island (even spotting a dingo in the wild), Rainbow Beach and Hervey Bay, and went snorkeling on the Great Barrier Reef. Now back in Sri Lanka, as a media practitioner she continues to produce videos and consult to development organisations and various institutes. She believes that her research in Australia has greatly enriched her research and writing capacities for these projects. Dr Gamage’s future projects will centre on both academic research and media production. She is currently working on publishing her PhD thesis as a book and is hoping to expand her research career. She is also in the process of developing a script for a short film she plans to direct on how violence impacts women. 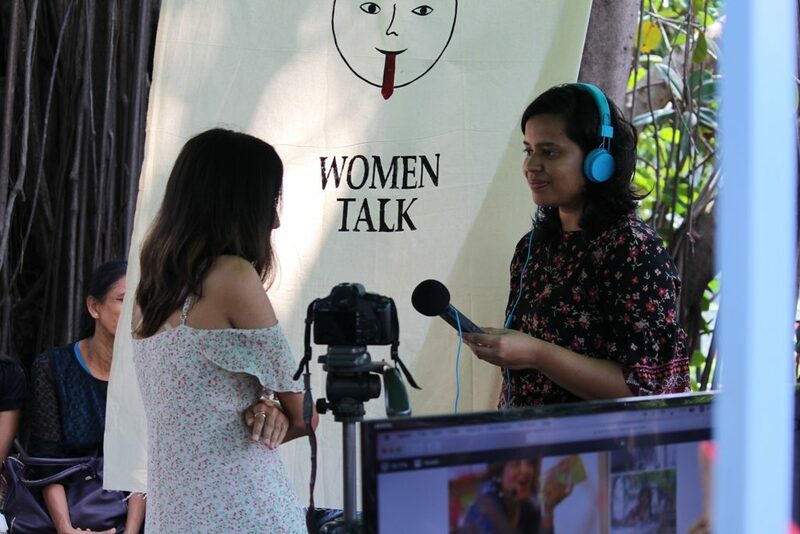 Women Talk – a project dear to her heart – will also continue, building on the momentum that it has gained since it began in 2017.